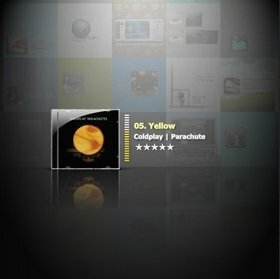 CD Art Display is a great application with which you can enjoy any album, as it allows you to control the Windows Media Player, Winamp, AlbumPlayer, Helium, iTunes, Foobar2000 and MediaMonkey multimedia players from a simple interface from where all you'll see is the album cover and the specific track you're listening to. The interface used by this tool can be customized by using skins, that can be edited from the program itself. It also offers you the possibility to modify the effects of the covers, the toolbar or how the transport and volume controls work. This utility can come in extremely handy for those music lovers that use a program that doesn't have a miniature version of its interface. If you're looking for a controller for your favorite audio player, that's not only practical, but also very appealing, try out CD Art Display, a great tool for listening to music whilst enjoying your music's artwork.